Blackpool’s reputation as a resort developed in the 18th century when wealthy sorts from the northwest of England headed here to “take the cure” – a rather quaint notion that a dip in the sea could cure one’s ills. The advent of a mainline railway station in 1846 boosted visitor numbers further and soon piers, oyster bars and attractions began springing up along the “Golden Mile”, a 1.6-mile stretch that was rebranded in 2011 as the Queen Elizabeth Promenade. To the north of this stretch sits the iconic Blackpool Tower, shamelessly inspired by the Eiffel Tower. In 1889, the Blackpool mayor and steamship entrepreneur John Bickerstaffe had attended the Exposition Universelle de Paris and came away suitably excited by the city’s wrought-iron centrepiece. Two years later Lancashire architects Maxwell and Tuke had created detailed plans that incorporated more than 2,500 tons of cast iron and steel. The tower opened – suitably enough for a northern English resort – on a wet Bank Holiday Monday in May 1894. At the time, it was the second tallest structure in the world, bettered only by the Eiffel Tower. 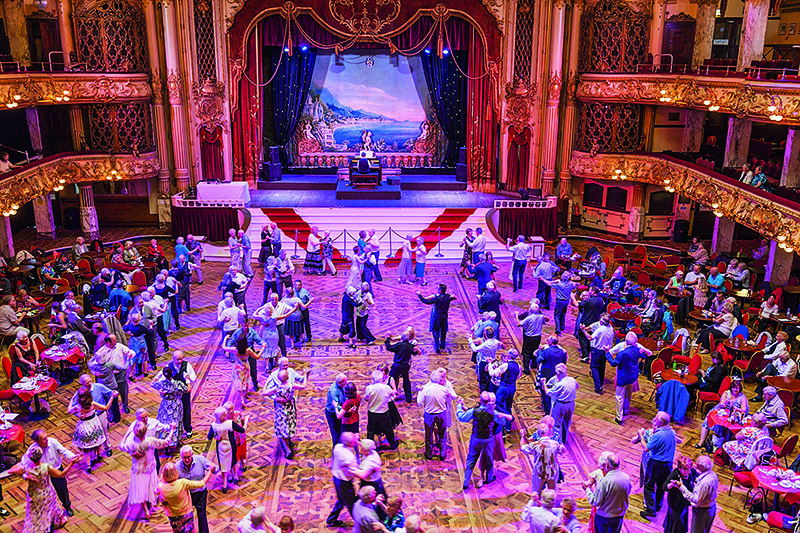 There is, however, far more to Blackpool Tower than just a Gallic-inspired viewing platform. Sat between the four legs is the Tower Circus, complete with a circus ring that can be lowered into a 42,000-gallon pool to allow for flamboyant finales, as well as plush interiors by Frank Matcham, a theatre designer famed for his work on the London Palladium. Matcham also turned his hand to the Rococo-style Tower Ballroom, setting baroque paintings inside gold rocaille panels and inscribing a quote from Shakespeare’s poem Venus and Adonis above the stage: “Bid me discourse, I will enchant thine ear”. 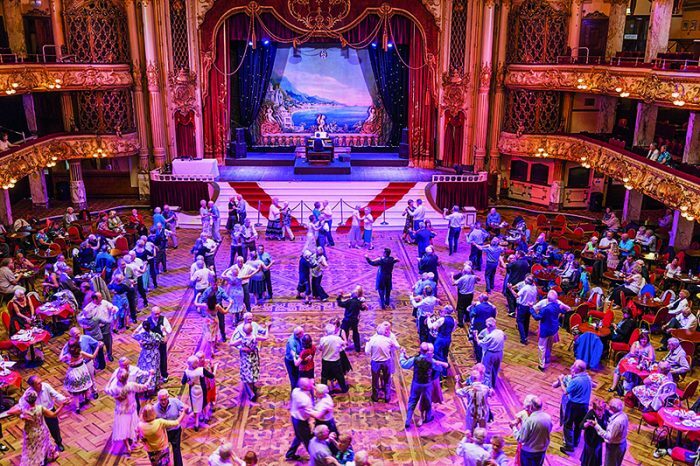 Anyone who has heard the sounds of the Wurlitzer organ resounding around this auditorium would be forgiven for thinking the Bard penned those words from the sprung dance floor itself. The Eiffel Tower inspired Blackpool Tower, yet the city nearly ended up with the Parisian original. 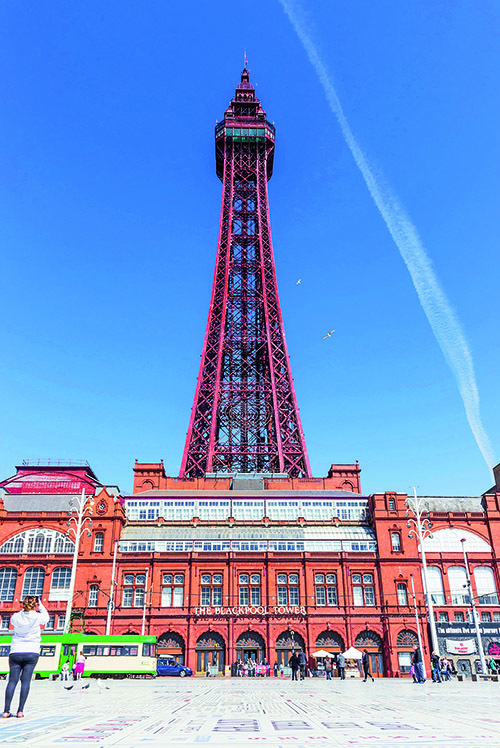 Gustave Eiffel was convinced his tower, built to demonstrate French steel prowess for the Exposition Universelle in 1889, was only a temporary fixture, so he tried to sell it to Blackpool mayor John Bickerstaffe.